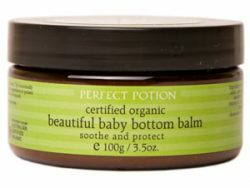 Can’t decide on the Perfect Pampering baby shower gift? Gift Vouchers make a great gift for Expectant Mums, New Mothers, and come in handy at Baby Showers too! 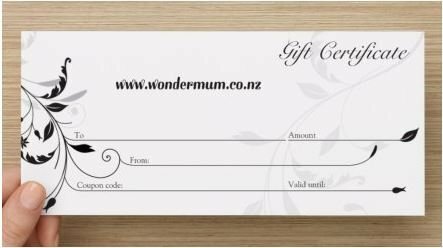 The Wondermum Gift Certificate comes in a beautiful email with a gift message and custom access code or you can choose to have a printed gift card and posted in an envelope. Go ahead and Spoil The Baby in Her! The Gift Card can be redeemed in our on-line store. Gift cards are issued in NZ dollars and cannot be redeemed in other currencies. Our gift cards can be sent electronically or via NZ post. Please indicate your preference and provide delivery address in order notes. The gift certificate is not redeemable for cash. Any value remaining after a purchase can be redeemed with the next purchase. Gift certificates are valid for up to 1 year from purchase date. Treat an expectant or new mum with a Wondermum gift card: it fits perfectly during any stage of pregnancy!